Summer is already ending in some parts of the world and has barely begun in some – wherever you are on the globe, instantly pick up on that tropic feel by wearing these fun summer prints on ultra chic and on-trend midi skirts. We are fans of these adorable midis because you can dress them up for office or a night out, or tone it down for a casual day of running errands. 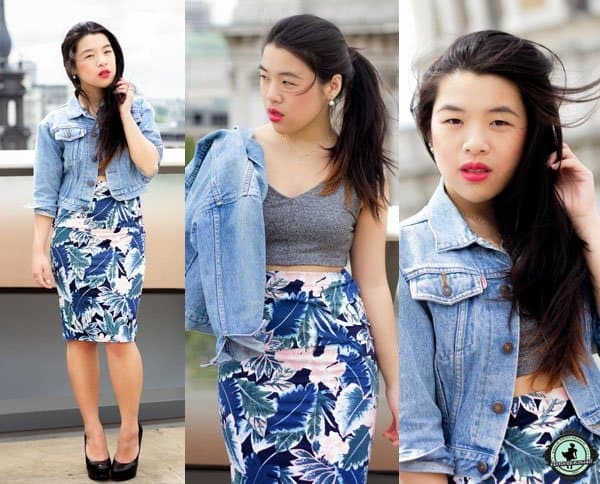 See how these five fashion bloggers styled their tropic prints. Midi tube skirts are one of the most versatile pieces in a woman’s closet because they can take you from the office to a ladies night out and in this case, even to a vacation in a tropical country. Switch up your button down blouse for a gray knitted crop top, and layer underneath a denim jacket. Slip into a pair of heels and grab your sunnies for a day of city exploration. Stuck in the city? Pair a tropic print skater skirt with a white crop top (we especially love the fresh white leather halter top we found), and accessorize with a gold chain bag, reflector sunnies, and some colored ankle strap heels. If you’re feeling a little bit daring, opt for a reptile shoe to go with your sweet skirt in same color hues for a bold contrast. Keep things even more tropical by playing with an earthly color combination such as green and brown. Wear a green flared tropic print skirt with a white crop top, brown sandal flats or pointed toe heels, a casual leather watch, and a gorgeous gold-adorned brown suede bag. Choose a studded pair of heels to give your look that extra edge. From makeup to clothes, orange is definitely one of the big colors of the season. 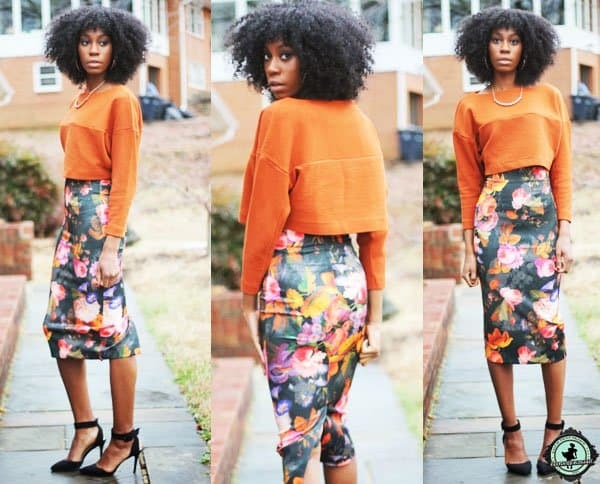 Pair a bright orange crop top with a loud tropical print midi tube skirt. If you can’t find midi skirts that carry splashes of orange to complement your top, you may opt for one in blue (since the color wheel says they are complementary). Pair with black accessories to ground the brightness of the colors. Okay, so this is not your typical flower-and-leaf print but we think these bird prints can fall right under the tropical category. 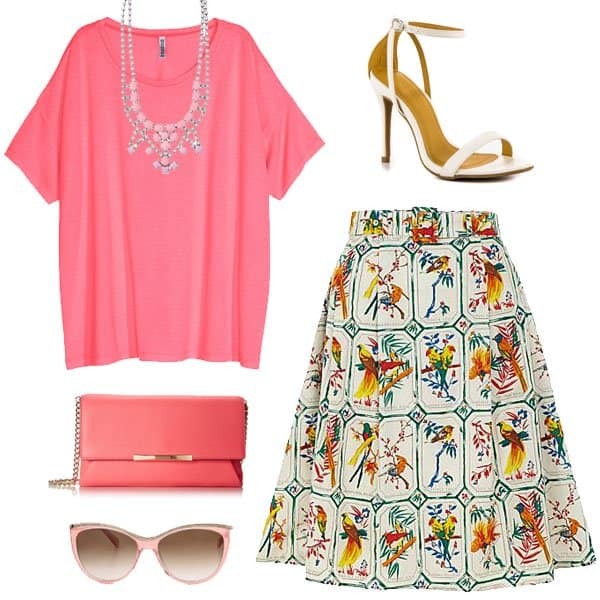 Pair a bird print skater skirt with an oversized pink top and white ankle strap heels. If you’re a bit more on the girly side, lather on the pinks by donning a similar hued bag, sunnies, and oversized necklace.